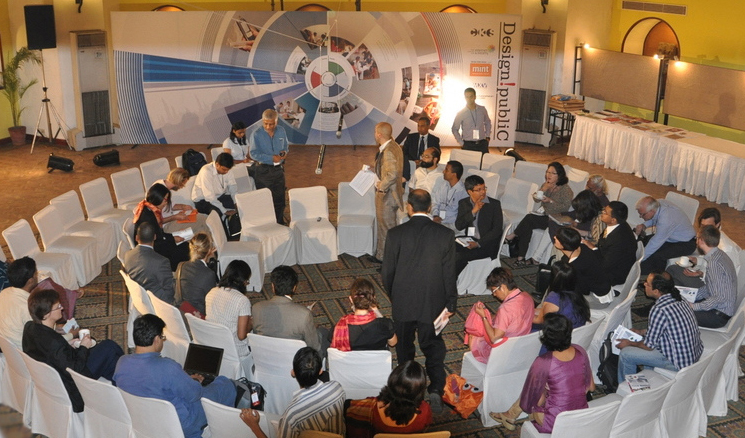 At our first conclave in Delhi, we focused on the question of Governance Innovation: Can or should government agencies use user-centered design solutions to develop and deploy better solutions? The easy answer is yes, but the question remains, where can we find the special expertise that allows them to do this? Out of this question was born the concept of what we call the Bihar Innovation Lab. This is an institution born out of partnership between the government, foundation, social agencies and private sector organizations working for innovation. It will not only document different kinds of innovations that may be undertaken, but also use user-centered research and design methods to create an experience concept that then may be further developed and deployed. The second edition of Design Public, in Bangalore, explored the public benefits of private innovation. It sought to understand exactly how innovation serves the public interest – whenever newer and better ways of doing things are discovered, agencies, usually private companies, benefit, but the public also benefit from these. If this is the case, it stands to reason that driving innovation forward should become one of the most important goals of state policy. Moreover, where government and social welfare have failed to redress long-standing grand challenges of society, including in areas of healthcare, sanitation and education, there is a promise than an innovation approach can in fact be successful. How best can the government intervene to encourage the private sector to orient itself towards these grand challenges that remain unsolved? Conventional policy-making approaches in the form of restrictions or tax incentives are too blunt to be effective. What is required is an approach that we may call coordination, whereby state agencies may work in a rather more subtle way in partnership with corporations, social agencies and academic experts, on particular targeted areas. That is to say, we must build cross-sectoral consortia that humanize the grand challenges in order to together make progress in defining the problem our ecology faces as a whole, in order to then make progress along each particular path. This third edition of Design Public focuses on questions of trust, participation and innovation. As discussed in the conclave note, deficiencies of trust are often linked to the absence of opportunities for participation, and both are grave challenges in their own right. For our purposes, however, this is especially relevant because of their effect on innovation. In the absence of trust and participation, attitudes, practices and an overall culture of innovation cannot emerge. Collaborative consortia between companies and coordination between unlike organization cannot arise. On the 20th of April this year, we look forward not only to thematizing and problematizing these issues, but also to taking specific concrete steps to rearchitecting India’s innovation ecology so that together we can take strategic steps to overcome obstacles and meet unmet needs.